To give your class a once-in-a-lifetime experience, be sure to sign up for Microsoft’s global Skype-a-Thon, November 29-30, 2016. Educational background: The Faculty of Philosophy in Niš, Department of English language and literature. 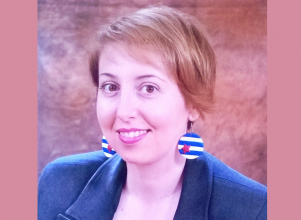 Connect with Ana on her Microsoft Educator Community page. This entry was posted in 21st century skills, Beyond the Classroom, People, Virtual Learning Environments. Bookmark the permalink.